LONDON (VIP-NEWS) — A group of more than 20 UK music festivals including T in the Park and Bestival have banned the sale of legal highs by traders at their events. The Association of Independent Festivals said its members would also take part in a "digital blackout" on Monday to highlight the drugs` dangers. 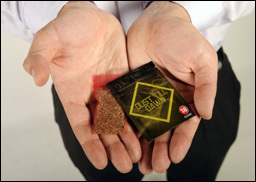 So-called legal highs claimed 68 lives in 2012, according to coroners` tests. The festivals` websites and social media accounts will go dark for 24 hours from 09:00 BST on Monday. Music fans visiting the homepages of the 24 festivals will see a completely black window except for a grey light bulb and the message "Don`t be in the Dark about Legal Highs". AIF co-founder and Vice-chairman Ben Turner said: "Legal highs are a serious concern for any festival organizer and the issue is only going to get bigger. "Banning it at our festivals is only part of the battle however, we need to make fans aware of the dangers of legal highs and help them make safer choices when having fun on-site." The organization said festivals backing the blackout campaign had a combined capacity of more than half a million people and the campaign could reach millions of people online. It is working with Angelus Foundation, a charity set up to educate people about the risks of legal highs. Founder Maryon Stewart added: "Legal highs are a huge but hidden problem because young people are acting in ignorance and no-one is measuring the harms. "We are determined to keep expanding our prevention program into new areas and bigger events until everyone gets the message that the effects of these substances are unpredictable and high risk." It comes after Home Office minister Norman Baker warned authorities are involved in a "race with chemists" in India and China who were producing potentially dangerous new legal highs on a weekly basis. The full list of festivals participating is: T in the Park, Bestival, Lovebox, Global Gathering, Secret Garden Party, Sonisphere, We Are FSTVL, 2000trees, ArcTanGent, Kendal Calling, Festibelly, Blissfields, Truck, Brownstock, Y Not Festival, Tramlines, Belladrum Tartan Heart, Leefest, Nozstock, Wakestock, Shambala, Glasgow Summer Sessions, Parklife and Eden Sessions.